Secret d'Atelier is the first French luxury floor design house. Our Maison combines the historical know-how with today's technological innovations to conceive its custom-made creations. Our products are designed for both professionals and individuals who want to dress their floor with innovative, original and of impeccable quality flooring. The graphics, the cut, the design, the technical process and the support are the key- elements that outline our collections open a wide range of choices for you. Colors, finishes and shapes are at your disposal under the meticulous eye of our craftsmen and designers: they will help you create true works of art from the noblest materials on the market. Secret d'Atelier considers the parquet as a new form of expression of interior architecture designed to brighten up spaces of prestige: an experience allowing the floor to regain its former honored posture. 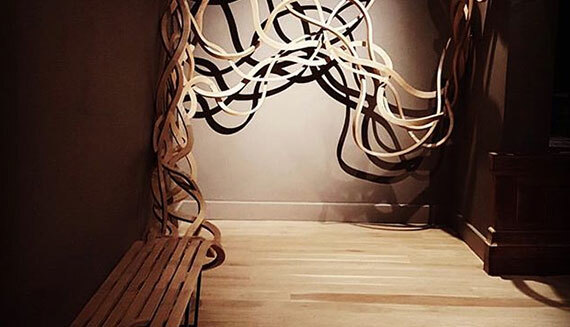 As a matter of fact, we believe that the walls should no longer be seen as the only vectors of artistic creations: the floor plays nowadays a leading role in interior decoration; it metamorphoses to lay art at our feet. The Maison Secret d’ Atelier was born from the ambition to give back the parquet floor its nobility. We come up with an offer that is at once original, sophisticated and elegant. Secret d ‘Atelier is the direct and exclusive inheritor of the Compagnie Française du Parquet (CFP). It represents a family heritage and pursues the experience passed on from father to son for more than 60 years. 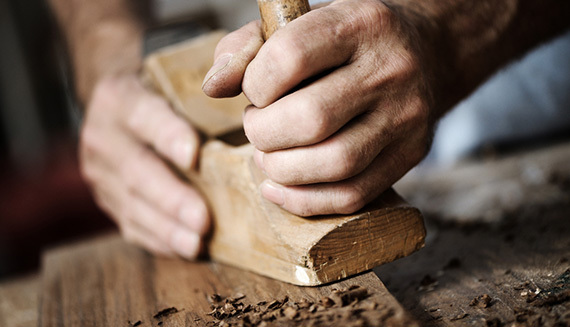 The gesture and the know-how are ancestral: our craftsmen are committed to select the most worthy woods. In order to propose an innovative product, we have combined this traditional French know-how with the advanced technology of our production units. Due to these innovative processes, we have been able to conceive any form of incrustation and cutting. All we had to do was to invite the most talented artists, designers and architects of their generation to put their creativity together. This is how Secret d'Atelier becomes the first luxury flooring company in France, eager to go along with the worldwide trends in art, design and fashion. The Burgundy region covers the most beautiful oak forests of France, some of which are centuries old. The history of these ancestral woods describes an essential part of the past olden professions such as raftsman or pit sawyers. This is the same forest that stood for source of the 19th century splendid floors of Parisian Haussmanian interiors. At the heart of this region, in 1958 was founded one of the most prestigious French parquet companies. The Compagnie Française du Parquet remains one of the few companies producing a full range of traditional and modern finishes, both in solid wood and engineered wood. We owe our most valuable material to nature: the wood. certified. Finally, we are one of the only companies to have carbon labeling and ISO 14001 certification.